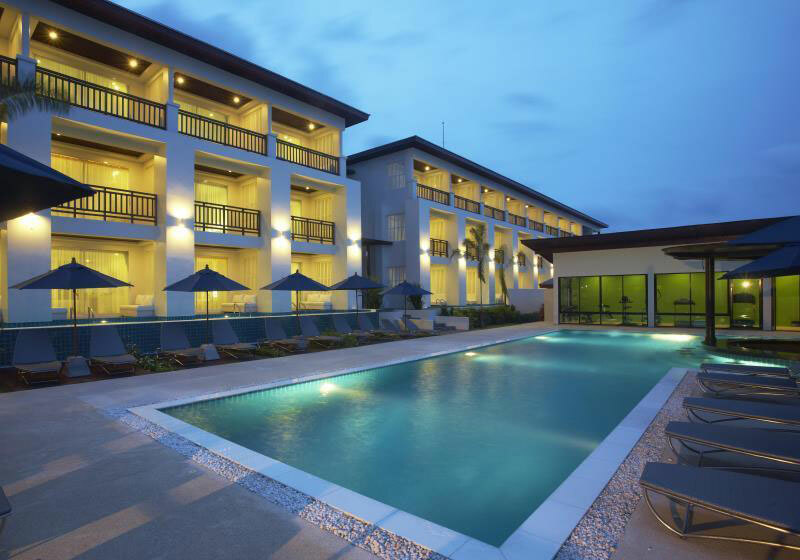 Resotel Beach Resort – A brand new lifestyle chic resort set on a 200 meters finest beach front. An exquisite chic resort in modern architecture set on a 200 meters stretch white sand beach front location of the quieter southern section of Chaweng Beach. With 79 elegantly appointed questrooms and pool villas equipped with full amenities and facilities offering spectacular sea view for refined retreat and relaxed beach holiday experience. Short Description: An exquisite chic resort in modern architecture set on a 200 meters stretch white sand beach front location of the quieter southern section of Chaweng Beach.